Twitter is asking an appellate court to immediately review a trial judge's decision allowing white nationalist Jared Taylor to proceed with a lawsuit alleging that he was wrongly banned from the microblogging service. 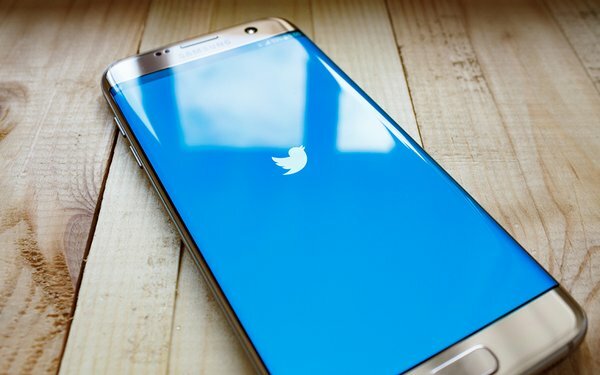 "Twitter’s decisions on what or whose content to distribute are quintessential editorial judgments protected by the First Amendment," the company writes in legal papers filed this week in California's First Appellate District. "A private-sector communications platform cannot be compelled to disseminate a message it finds objectionable solely because its decision to exclude the message would deprive another of a private platform from which to speak." The company is seeking to appeal a recent ruling by Judge Harold Kahn in San Francisco, who refused to dismiss Taylor's claims that he was wrongly discriminated against by Twitter based on his political views. Last December, soon after Twitter announced a crackdown on "violent extremist groups," the company permanently suspended Taylor and his publication, American Renaissance. Two months later, Taylor sued Twitter over the bans. He claimed that the account suspensions violated several California laws, including one dealing with unfair business practices. Twitter asked Kahn to dismiss the case at an early stage under California's anti-SLAPP (strategic litigation against public participation) law, which aims to protect free speech about matters of public importance. Twitter argued that its First Amendment right to decide what content to allow on its platform was threatened by Taylor's suit. Kahn said at the conclusion of a hearing in June that he planned to reject Twitter's bid to dismiss the matter immediately. The company had argued at that hearing that it has the right to suspend accounts for any reason. During the hearing, Kahn questioned Twitter's lawyer about whether that position was consistent with prior statements by executives who had previously called the company the "free speech wing of the free speech party." Kahn added that Twitter's position that it can suspend accounts at will may be "unconscionable," or too unfair to be enforceable. The company is now asking an appellate court to review Kahn's decision, and to stay all proceedings pending appeal. Twitter specifically argues that its terms -- including its reservation of the right to ban users -- are not unconscionable, given that its service is free. "Twitter’s ability to provide a communications service for free depends in part on its ability to include in its standardized user agreement 'provisions and protections' such as the one at issue here," the company writes. "Such contract terms eliminate or control costs of doing business that Twitter would otherwise face -- for example, by ensuring that it does not have to litigate every decision it makes about who can use its platform." The company adds that Taylor and his publication received the "benefit of their bargain." "They were permitted to use Twitter for years without ever having to pay any fee," the company says, adding that Taylor used the platform to build a business by driving traffic to his sites. Earlier this year, a different judge -- Kimberly Gaab in Fresno County -- threw out a lawsuit against Twitter by right-wing activist Charles Johnson, who was banned from the service in 2015. Gaab said in a "tentative ruling" that Twitter has the right to decide what speech to allow on its platform. Twitter's newest filing comes the same week that the company is facing questions about its decision to allow right-wing conspiracy theorist Alex Jones to continue using the platform. Other major tech companies, including YouTube, Facebook and Apple, have removed at least some of Jones' material from their platforms over alleged policy violations.